Keep family travel costs low by heading to one of these sunny destinations during the off season. Like a mariachi musician, Puerto Vallarta, on Mexico's Pacific Coast, gives families una fiesta excellente. To the east: hiking adventures in the foothills of the Sierra Madres. To the west: the Malecon promenade and 26 miles of beaches along the deep-blue Banderas Bay. Nestled in the middle: cobblestone streets that open onto leafy plazas, and casual cafes and shops selling local finds like turquoise jewelry and colorful sandals. Alfresco family fun: Spread out your beach blanket on Playa de Los Muertos, a popular stretch of sand on the south side of town. Dotted with restaurants and roving performers, it attracts a merry crowd, especially on Sundays. For a more serene scene, book a boat tour to nearby Yelapa Beach or quiet Quimixto Beach, where you can hike to a pristine waterfall (puertovallartatours.net). Snorkel too, at Los Arcos, a spectacular rock formation that attracts neon fish. Wannabe swashbucklers can kick up their heels on the Marigalante, which sails to a beachside barbecue and treasure hunt (marigalante.com.mx). For more fun in the sun, swing through the treetops on a rainforest canopy tour (www.vallarta-adventures.com). Kid-friendly culture: Head to the Old Town, south of Rio Cuale, to stroll amid the red-roofed houses, flower carts, and local dancers (including swirling schoolchildren in Mexican skirts). Pause at the Baroque-style Church of Our Lady of Guadalupe, topped with a golden crown. 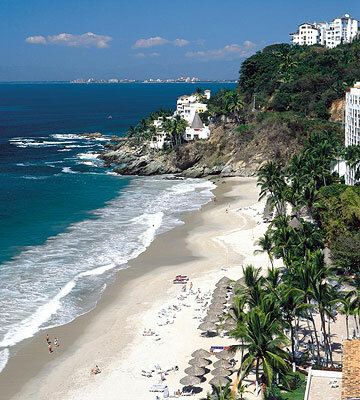 Unpack your bags: The seaside Velas Vallarta offers scuba diving lessons as well as Mexican, Italian, and French fare. Nightly rates for a one-bedroom suite in June start at $352, plus $98 for kids ages 4 to 12; includes all food and beverages (velasvallarta.com; 866-847-4609). Or share a three-bedroom condo with great views and a full kitchen from $250 a night (baysidepropertiespv.com). Everyone dances in Jamaica — young and old, native and visitor. In this lush, diverse land peopled by offspring of Europeans, Africans, Chinese, and East Indians, reggae music unites. 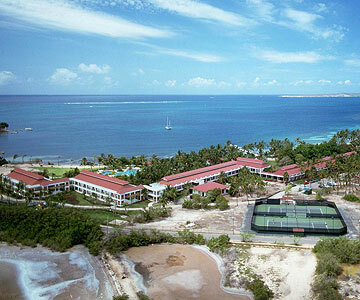 A family vacation surrounded by the island's crystal waters will put the mojo back into your moves. 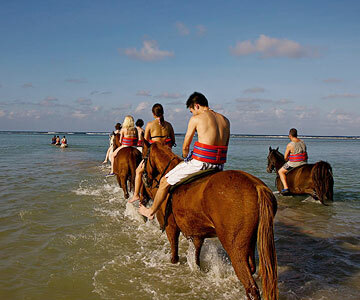 Alfresco family fun: Saddle the kids up for Chukka Caribbean Adventures' Horseback Ride 'n Swim Tour, near Montego Bay (chukkacaribbean.com). A guide leads you through rainforest, countryside and, lastly, onto a beach and into the surf! If wheels are more your speed, pedal straight for Blue Mountain Bicycle Tours (bmtoursja.com; ages 7 and up), whose downhill routes offer views of seascapes and waterfalls. Family members looking for a lazier ride can float the tranquil Martha Brae River on a 30-foot bamboo raft (jamaicarafting.com). 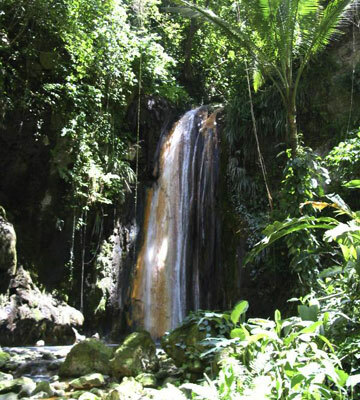 Kid-friendly culture: Introduce your kids to the heart of Jamaica through the Jamaican Tourist Board's Meet-the-People program (meetthepeople.visitjamaica.com). Citizen volunteers invite visitors into their homes for a meal; the program aims to build cultural understanding. Then nose around Montego Bay's Rose Hall Great House, where 19th-century sugar plantation owner Annie Palmer allegedly practiced voodoo (imexpages.com/rosehall). Despite its gore lore, this estate's dungeon and gardens are among the most fascinating historical sites in the Caribbean — and a sure bet for curious teens. Same with Kingston's Bob Marley Museum, set in the entertainer's original recording studio (www.bobmarley-foundation.com/museum.html). Unpack your bags: The 224-unit, all-inclusive Beaches Boscobel Resort & Golf Club (from $205 per adult, $105 per kid under 16; beaches.com; 888-BEACHES) offers golf for kids, Pirate's Island Waterpark, and a teen disco. To be closer to Montego Bay, try Iberostar Rose Hall (from $165 per adult, $87 per kid ages 3 to12; iberostarrosehall.com; 888-774-0040), which has balconies or terraces off all of the rooms. Shimmering like a pirate king's bling in the sea just north of Venezuela, Curacao, part of the Netherlands Antilles, boasts hundreds of sherbet-tone buildings. Ballet pink, lime green, robin's egg blue, and lemon yellow color the capital town of Willemstad, where the Dutch West India Company set up shop in the early 1600s. Visitors will enjoy the steep roofs, winding streets, and colonial mansions, as well as the rows of fishing boats along the beach. Alfresco family fun: Snorkelers and scuba divers can get up close to the coral reefs surrounding this island; they're accessible from almost any beach. The Curacao Underwater Marine Park extends 12 miles along the south coast, replete with sunken ships and colorful fish. Or take a walk on the wild side at Curacao Ostrich Farm (ostrichfarm.net), where more than 300 big birds strut their stuff. Kid-friendly culture: Curacao's strong Jewish presence — which dates back to the arrival of emigres from Amsterdam more than 350 years ago — makes this area of the Caribbean unique. Today Willemstad's congregation Mikve Israel-Emanuel Synagogue (snoa.com) showcases a Jewish Cultural Historical Museum with rare artifacts, such as intricate centuries-old coins, jewelry and stamps, and a Torah from 1492 — fascinating to examine no matter what your faith or age. 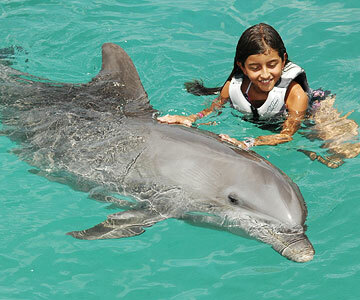 Families will also fawn over the wildlife at the Curacao Sea Aquarium (www.curacao-sea-aquarium.com), where you can view sharks and sea turtles, interact with sea lions and dolphins, and learn how to care for the environment. Unpack your bags: At the all-inclusive Breezes Curacao (from $270 per room, kids under 13 stay free; breezes.com; 877-467-8737), kids can swing on a trapeze, climb a rock wall, windsurf, snorkel, and bike. Families who don't need round-the-clock entertainment might try the 72-unit Floris Suite Hotel — with pool and tennis courts — near Piscadera Bay for a low-key hideaway (from $250 per suite; florissuitehotel.com; 800-781-1011). Jutting dramatically out of the Caribbean Sea, St. Lucia's famous twin peaks, Les Pitons, will stun first-time visitors. This super-green, mountainous isle was born of the Earth's rock 'n rumble and has the world's only "drive-in" volcano, Mount Soufriere. Alfresco family fun: Action-hungry teens will love riding in a Jeep Safari (sunlinktours.com) as it journeys into a Tarzan-like jungle. Book a tour to the Diamond Botanical Gardens; natural minerals make the waterfall change colors. Save time to dip toes into the nearby fizzy mineral springs. Kid-friendly culture: At Fond Latisab Creole Park, in Babonneau, the Fond Assau community exposes young travelers to the intricacies of St. Lucian life through hands-on activities. Stroll through the public market in Castries, where vendors sell exotic produce like breadfruit. Unpack your bags: The all-inclusive Coconut Bay Beach Resort & Spa has a waterpark (from $420 per room for two adults, $55 for kids ages 3 to 12, $75 for kids over 13; coconutbayresortandspa.com; 866-978-6226). Chocolate lovers should try the Fond Doux Holiday Plantation, a farm that houses guests in suites (from $150 per suite, ages12 and under stay free; fonddouxestate.com; 877-434-1212). A commonwealth of the U.S., Puerto Rico shares our currency, and many residents speak English. But our spicier southern sister exudes a vibe of salsa music, garlicky cuisine, and exuberant street-side domino games. So bring your fun-loving spirit — but leave your passport at home. Alfresco family fun: The 28,000-acre El Yunque rainforest (www.fs.fed.us/r8/caribbean) has 24 miles of hiking trails and wildlife wonders like cotorras (endangered green parrots) and coquis (tree frogs). Luquillo Beach attracts local families and tourists alike, boasting reef-protected waters and perhaps the whitest sand on the island. Go underground at Rio Camuy Caves, where guides lead you to giant stalactites and stalagmites. Kid-friendly culture: History comes alive in Old San Juan. See a statue of explorer Ponce de Leon at Plaza de San Jose; it's made from melted British cannons taken by the Spanish when England attacked in 1792. At the area's northwestern tip, adventurous kids can explore the ramps, tunnels, and turrets of El Morro, a six-level fortress dating back to the 16th century. Unpack your bags: The Condado Plaza Hotel & Casino has rooms from $179, kids under 16 stay free (condadoplaza.com; 866-317-8934). It overlooks Condado Lagoon and has five restaurants and several pools. The Copamarina Beach Resort & Spa (from $190 per room, kids under 12 free; copamarina.com; 800-468-4553) on the southwestern coast offers fishing.